Hurricane Sabrina knocked me off my feet, Beth Kennedy whacked me in the head, and Donovan Goldwyn grinned down at me with his violet eyes. Or at least that’s what it felt like when I got the idea for Hurricane Crimes, my romantic-suspense eBook of about 50 pages. I had just read a book set during a blizzard, but being a Floridian I’ve never been in a snow storm. I have, however, witnessed countless hurricanes. Those experiences whirled in my mind and before I knew it, I had a concept for a story. Beth Kennedy was immediately there—with her arms crossed—waiting for me to begin writing…on Christmas morning no less. I developed her through the music of Adele and Alanis Morissette, and the characters Kate Beckinsale has played in movies, so it’s no wonder that she’s a tough cookie. Donovan, on the other hand, decided to take his sweet time until his first scene came. I had no idea what I wanted him to look like, or what his personality would be, until I met him through writing. No one influenced Donovan, but my creativity, and we both like it better that way. I used my experiences with hurricanes to write this story with the goal of transporting readers from their cozy homes into the harsh conditions of a category 5 super storm. I also made Hurricane Sabrina a character in her own right, giving her human-like characteristics. I had a blast writing a story packed with wind, rain, action, and passion. 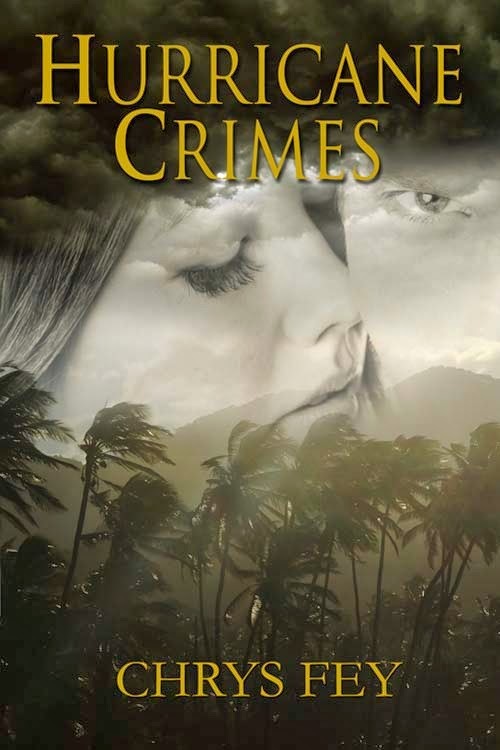 Chrys Fey’s debut, Hurricane Crimes, was published by The Wild Rose Press. Mid 2014, she will be coming out with her second romantic-suspense eBook, 30 Seconds. She created the blog Write with Fey to offer aspiring writers advice and inspiration. She lives in Florida where she is ready to battle the next hurricane that comes her way. Wow, this sounds like a great read! I look forward to checking it out!